Are you researching possibly doing business with Optical Equipment Center from Israel who sells Lens Edger and Tracer? If so, you may want to read the below review of the experience of one buyer and their recommendation to consider when dealing with this company. 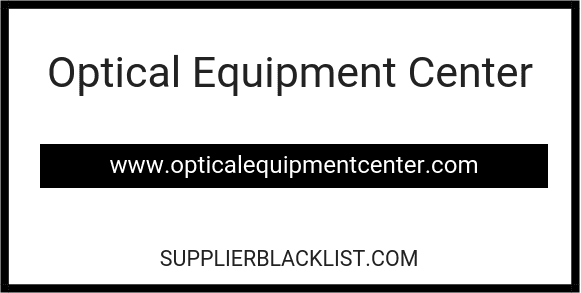 You can also find more searching options to learn more about Optical Equipment Center on Supplier Blacklist and across the web. Need More Info on Optical Equipment Center? If you need more information, you can click the below links to search for more submissions about Optical Equipment Center on Supplier Blacklist as well as go to the search results page on Google for more reviews online about this company. Perform a Supplier Blacklist search for more reviews on Optical Equipment Center. Search Google for Optical Equipment Center Reviews.